A smaller job that may not deserve an entry except for an interesting method of anchoring the end post. 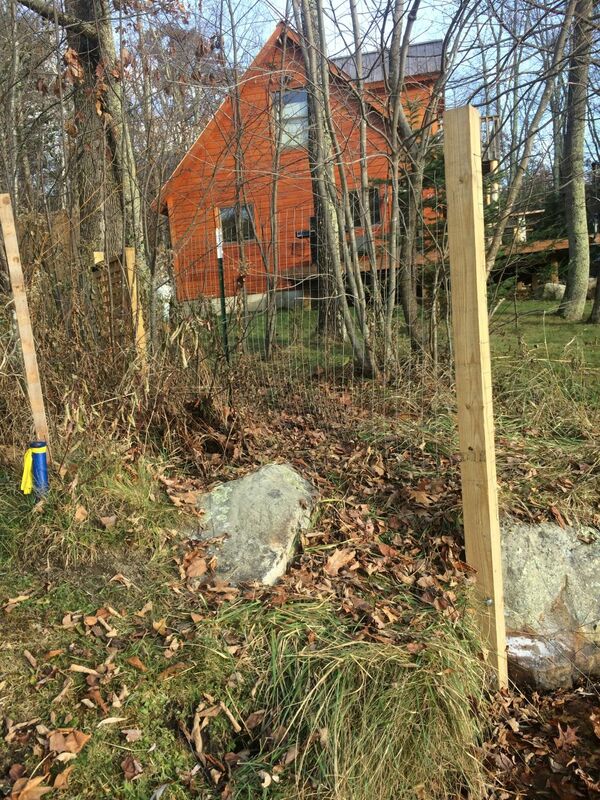 Though there were 4×4 fence posts planted in 4 foot deep post holes, one post landed at the edge of the lake where, as expected, there was nothing but rocks. 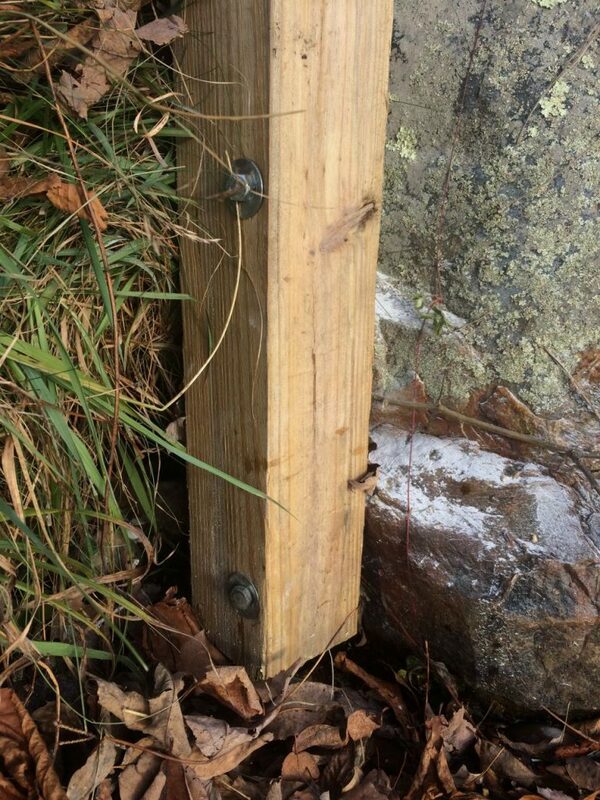 An unusually large rock prompted me to suggest simply bolting the bottom of a post to the rock. The owner liked the idea and the installation went without a hitch with the exception that the solid rock took a little longer to drill with the hammer drill than into concrete. Have a look at the photos but mostly notice the bolted post. I have installed anchor bolts in concrete called expansion bolts but these were special ribbed expandable steel inserts that fit into the drilled holes. The bolts themselves were ordinary lag bolts that, when screwed into the inserts, made the inserts expand. They worked simply and securely. 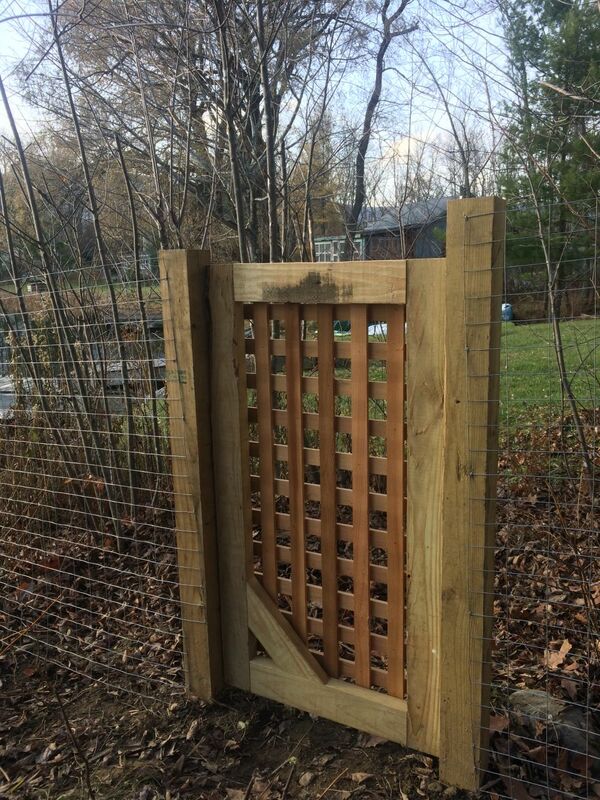 Delighted with the fence that Cliff installed. Cliff was efficient and professional throughout. I certainly will be recommending Cliff! Great job!